Have you ever been in the distant space? Then use all your skills, cause in this game you will be as the real warrior. Be ready for many waves of attack and protect the galaxy at any rate! We know that you will complete such an important mission. Ready to defeat the world from enemies attack? In this game you have a very great mission! Get ready to receive it in a really cool defense game. You must do everything to kill all waves of enemies. This time, they are planning to dominate your galaxy. You have to hurry up to determine where the enemies are, and then position your units around the earth to beat all rivals’ waves and defend the planet. 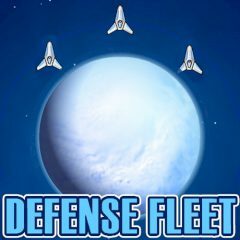 During the battle, use your earned points from killing foes to buy more units and attack asteroids to get bonus points. Is everything clear? Then start this fight!